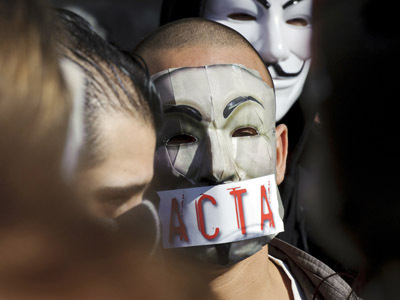 The European Parliament has opposed the controversial ACTA treaty, after three of its influential committees said the trade agreement should be rejected. The Legal Affairs Committee (JURI), the Committee for Industry, Research and Energy (ITRE) and the Committee for Civil Liberties, Justice and Home Affairs (LIBE) all voted against implementing the agreement, which caused mass protests in several European countries this year. In ITRE, the votes were split 31 members for and 12 votes against a draft opinion which called on the Parliament to reject ACTA. One member abstained. In JURI, 10 votes were cast for a pro-ACTA draft opinion and 12 against, while two committee members abstained. The small-margin victory still went to opponents of the treaty. LIBE also sided with critics of the treaty, with 36 members voting for a negative report on ACTA, 1 against and 21 abstaining from the vote. The cold shower news for the trade agreement does not seal its fate. The next vote on it by Committee on International Trade (INTA) of the European Parliament will take place on June 21. It will be the fourth and final opinion the committees are to submit before ACTA is taken to a plenary session in early July. 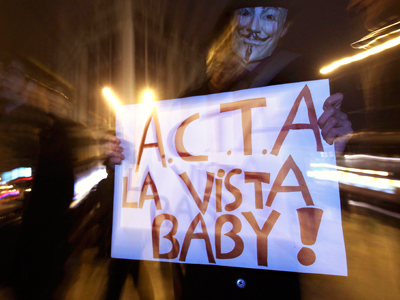 Earlier on Tuesday Dutch legislators voted to ax ACTA, saying the government of the Netherlands will never sign it. They said they would oppose it even if the European Parliament approves the treaty. The Anti-Counterfeiting Trade Agreement (ACTA) is aimed at protecting copyright in many industries, from software engineering to agriculture. Critics say the national governments would have to make a draconian attack on online privacy to implement provisions of the treaty on their soil. The European Union suspended efforts to ratify the treaty in February amid a storm of protest from human rights activists. Thousands demonstrated across the EU against ACTA and the amount of power it would give to big corporations. 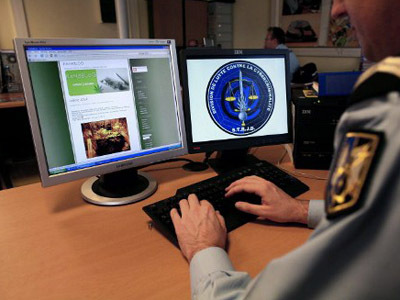 With three heavyweight committees in the European Parliament recommending ACTA is rejected, the controversial anti-piracy agreement has suffered a crushing blow, believes the founder of the Swedish Pirate Party, Rick Falkvinge. RT:The final decision on whether to ratify ACTA will be made in July. I suppose you are delighted by the latest development but what do you make of what has happened? RF: These were only the three first events in a long chain that lead up to the final vote on the floor of the European Parliament in early July. The first three events essentially were three strikes against ACTA. 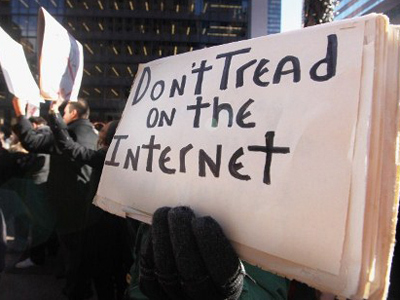 Obviously this conflict between the old and the new has started very well for the internet-activist side. RT:So, ACTA could likely be scrapped. Do you think there is room to conceive some other sort of treaty? RF: That’s the thing. I mean ACTA was shutting the door for reforms, which is also a very good reason to oppose it. We do need, we direly need to reform the corporate monopoly and patent monopolies as we transition further into a digitally-framed economy in Europe. So I definitely see a reform of both corporate and patent monopolies but not necessarily in the way that the middlemen are wanting.